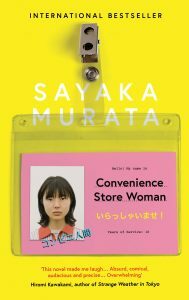 Daily life in Japan has never seemed stranger than in the compelling English-language debut from Sayaka Murata which draws a portrait of alienation in a society that already seems to exist somewhere just over the border from familiarity. The novel exposes the rather shocking life and interior world of Keiko Fukukura, a girl born without social awareness in a place tightly bound by its rules. Thus the child Keiko enters a world of mystifying norms of conduct. When a teacher shows signs of hysteria one day in class, what could possibly be wrong or unhelpful, she wonders, about calming the woman’s mood by pulling down her skirt and knickers? And, after all, it works. For all Keiko’s confusion, she gradually comes to understand her oddity and responds by withdrawing from involvement with others, managing to complete a solitary education to university level. And then, miraculously, she finds her niche. An impulse decision sees her applying for part-time work in a convenience store, one of those mini-supermarkets ubiquitous in urban Japan, stocked not only with food but a mass of other daily necessities. Here, Keiko is drilled in how to greet her customers (‘Irasshaimase! Good morning! accompanied by a compulsory smile), how to stock the shelves with products determined by season, weather and time of day, and how to conduct herself generally. This will be her world for the next eighteen years, ruled by snack food innovations, terms of address, sartorial style, employment conventions, cleanliness standards, and the music of store life – cash registers, customers, footfall. A model employee, Keiko learns a great deal more from her environment. Observing her peers, she trains herself to mimic the pitch of their voices and emulate their fashion taste, earning approval by buying clothes from the same stores. Functioning well at work, she also holds up the acquaintanceship of a few girlfriends, to whom she lies about her health to explain away her continued lowly work status. But she can’t explain away to these young women, all busy planning their marriages and families, her lack of a partner. Enter Shiraha, a tall, creepy, unmotivated new employee who joins the store’s work force but is quickly sacked. Meeting again by chance, Keiko and Shiraha begin a conversation about their twin exclusion from norms, which results in a major act of pragmatism: she accepts his offer to cohabit, a sexless bargain in which Keiko gets social acceptability, while freeloading Shiraha gets free board and lodging. But it doesn’t last. 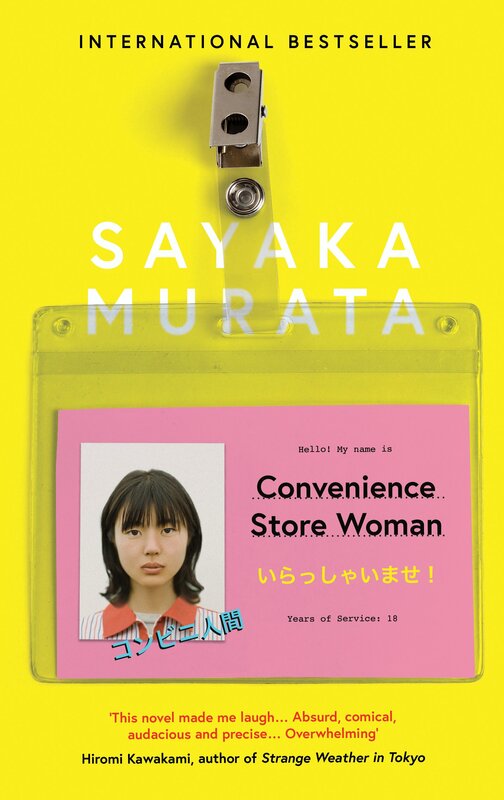 Encouraged by Shiraha to quit the convenience store and search for a better-paid job to support the pair of them, Keiko eventually realizes that the price of seeming ordinary is too high. She doesn’t need Shiraha but she does need a convenience store. Without its music in her head, she has lost her attunement to any kind of life, normal or ab-. 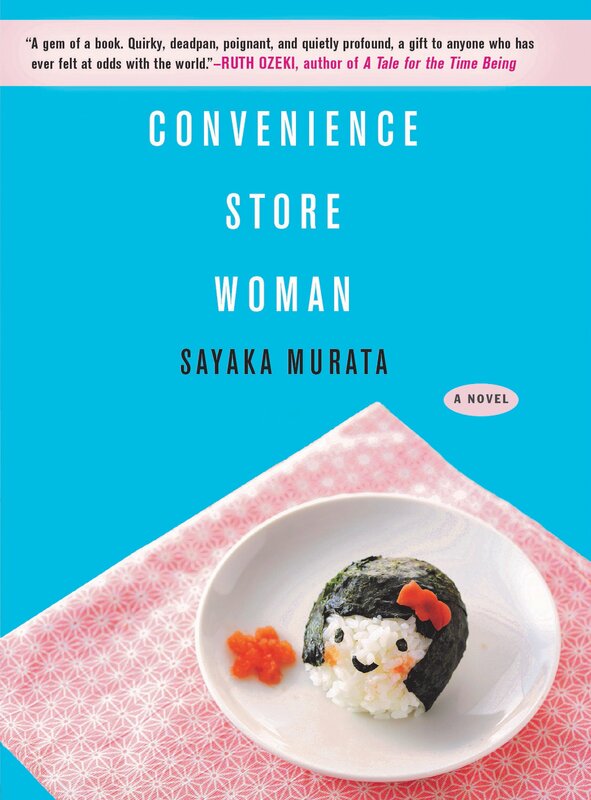 Simultaneously disturbing and enthralling, Murata’s short work, a bestseller in her own country, speaks volumes about society and the role of the outcast. Whether comic or tragic, dreamy or realistic, the parable is leant sharper relief by the very particular conformism and rule-bound expectations of the author’s own culture, where sexless marriages are apparently a norm and the birthrate is dropping like a stone. Read it and become acquainted not only with degrees of separation, but of acceptance of identity, no matter the cost.